An omission and an incomplete biographical note in The Oxford Book of Latin American Poetry, edited by Cecilia Vicuña and Ernesto Livon-Grosman, reflect the invisibility of Venezuelan letters in the world. As a translator who focuses on Venezuelan literature, I can’t help noting these details that evoke the marginal position of Venezuela in the global literary landscape. A major omission in this anthology is the poet José Antonio Ramos Sucre, whose work marks a turning point in Venezuelan literature. What we now understand as modern and postmodern literary tendencies, Ramos Sucre inaugurated in the 1920s for Venezuelan literature. Ramos Sucre was born in the coastal city of Cumaná in 1890 and died in 1930 in Geneva, Switzerland. During his lifetime he published three books: La torre de Timón (1925), Las formas del fuego (1929) and El cielo de esmalte (1929). Ramos Sucre wrote texts that can be classified as poems, but they also employ elements of fiction, essays and translation. He was inspired by his vast reading of the classics, as well as by poets closer to his era such as Goethe, Leopardi, Baudelaire and Rimbaud. During his lifetime, Ramos Sucre was read by a small but fervent group of friends, poets and critics. But his writing was too experimental and challenging to be widely appreciated in his own time. 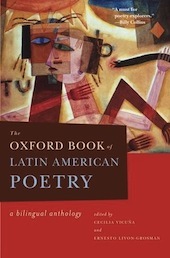 It wasn’t until the fifties and sixties, when young avant-garde poets such as Juan Sánchez Peláez (who is included in this anthology), Juan Calzadilla and Rafael Cadenas championed his work, that his status as a foundational figure of contemporary Venezuelan literature was recognized. By not including Ramos Sucre in their anthology, Vicuña and Livon-Grosman offer an incomplete snapshot of Venezuelan poetry. While it is important to see Juan Sánchez Peláez (Altagracia de Orituco, 1922-Caracas, 2003) included, the inaccuracies in his biographical note are disappointing. Sánchez Peláez deserves a more thoroughly researched biographical note. Sánchez Peláez did indeed collaborate with the surrealist poets of the Mandrágora group, as the note says, when he attended university in Santiago de Chile in the 1940s (where he befriended the recently-deceased Gonzalo Rojas). However, Sánchez Peláez did not work with the poet Rosamel Del Valle during that time, as the note erroneously states. The two poets did not meet until the early 1960s in New York City. His final book, a collection of all his work entitled Obra poética, published by Editorial Lumen in Spain after his death, is not mentioned. Nor is his essential final collection, Aire sobre el aire (1989), a book that reflects the summation of a lifetime’s work. It’s no coincidence that Octavio Paz chose an early version of the opening poem in Aire sobre el aire to publish in his magazine Vuelta in the 1980s. Poet and translator Guillermo Parra was born in Cambridge, MA and lives in Durham, NC. He is the author of Caracas Notebook (Cy Gist Press, 2006) and Phantasmal Repeats (Petrichord Books, 2009). 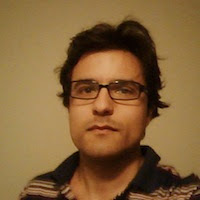 Since 2003 he has written the blog Venepoetics, where he translates Venezuelan and Latin American poetry into English.